New York Times: “Opinion: Stephen Moore Would Be a Loyalist, not an Expert, at the Fed” — “President Trump, who craves low interest rates, has tried to bend the Federal Reserve to his will by tweeting insults and offering unsolicited advice. He threatened to fire Chairman Jerome H. Powell. He invited Mr. Powell to dinner. None of it worked as well as he would like. In the president’s view, high interest rates still are smothering economic growth. “So on Friday, Mr. Trump tried something new. He said that he planned to nominate one of his economic advisers, Stephen Moore, to an open seat on the Fed’s board of governors. “Notwithstanding his public outbursts, Mr. Trump previously has nominated six people to the Fed’s board, and all were well-qualified candidates who might have been chosen by any Republican president. With the choice of Mr. Moore, however, Mr. Trump crossed a line. CNBC: “Majority of Wall Street pans Trump’s Fed picks, Stephen Moore and Herman Cain” — “Some on Wall Street are blasting President Donald Trump’s intentions to nominate Stephen Moore and Herman Cain to the Federal Reserve board of governors, with majorities in a CNBC Fed Survey saying the Senate should not confirm either man and many saying both are unqualified. “In a survey taken Friday through Sunday, 60% of respondents said the Senate should not confirm former Wall Street Journal editorial writer Moore, and 53% called for the Senate to reject the prospective nomination of businessman and former Republican president candidate Herman Cain. New Yorker: “The High-Stakes Battle Between Donald Trump and the Federal Reserve” — “In Donald Trump’s world, there is always another person responsible for his woes, and, as Kirstjen Nielsen, the departing Secretary of Homeland Security, just discovered, that person often ends up getting fired or forced out. But what if Trump doesn’t have the power to dismiss the object of his anger, or he fears blowback from Congress and the financial markets? Then you get the White House’s current campaign to undermine the independence of the Federal Reserve and its head, Jerome Powell. “For months now, Trump has been publicly railing against the Fed. In private, Bloomberg reported, he has been asking his aides if he can fire Powell, a sixty-six-year-old Republican banker who was confirmed at the start of last year. (According to legal experts, the question is a murky one.) 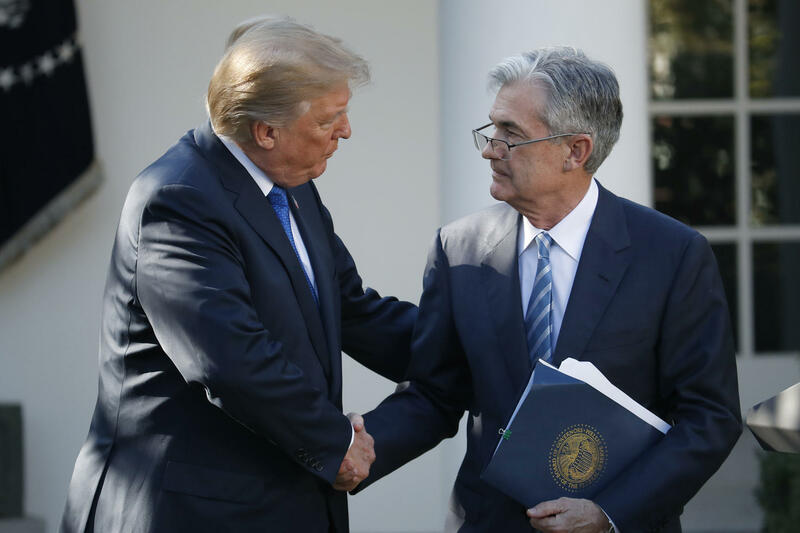 On Friday, Trump again defied the convention that the President stays out of monetary policy, calling on Powell and his colleagues to cut interest rates in order to boost the economy. Referring to the rate hikes that the Fed introduced last year, which were the source of his animus toward Powell, Trump said, ‘I think they really slowed us down.’ Trump’s senior economic adviser in the White House, Larry Kudlow, has also called for a rate cut.